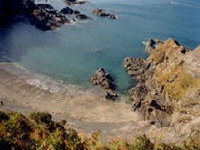 Pembrokeshire is Wales’ most popular coastal destination. As the sun starts to shine, then it would be a great place to consider going on holiday. It has a national park, coastal path, great cycling routes, arts and crafts and wonderful beaches. Luckily for you, we have a new holiday cottage on our listings which is perfect for a self-catering family holiday. A short stroll from its own beach and close to the coastal path on the Pembrokshire National Park coastline, Fynnonofi Farm is relaxation central. The traditional stone holiday cottage has stunning sea or mountain views from all rooms. And with outdoor eating areas to enjoy sunsets in the evening, you will have little need to go anywhere else. 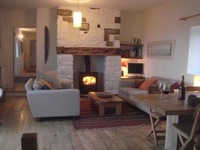 The cottage sleeps 5 with 2 double bedrooms and a children’s room. The kitchen has all expected amenities, and the is a large, bright sitting room with wood-burning stove, TV/video and double glass doors with idyllic views across the sea. There are 2 bathrooms, underfloor heating and the style is ‘rustic coastal’. There is also plenty of space for children to play safely. 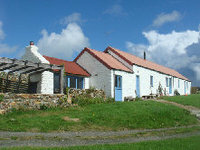 For many more Pembrokeshire cottages, visit our main site.